The formula is derived from natural sources, making one of the best and safetest whiteners for skin. 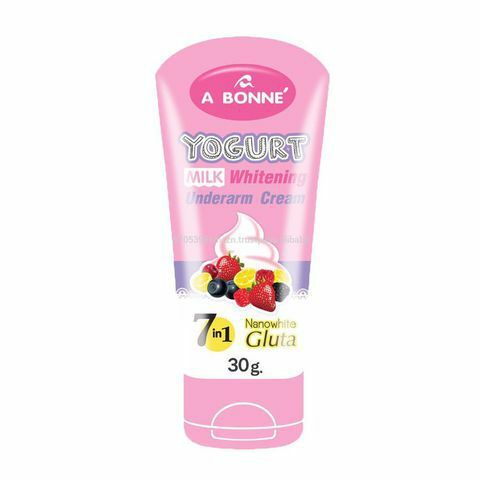 A Bonne' Yogurt Milk Whitening Underarm Cream is a dark spot corrector. By cleaning skin cells and softer skin. It also helps to deodorize with confidence to protection. 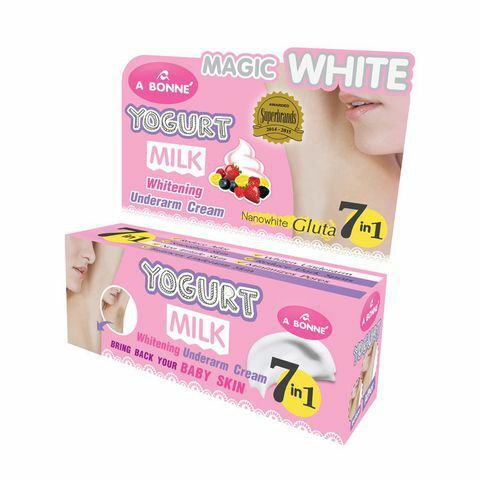 This cream is hypoallergenic and does not irritate sensitive skin. It is free of both Hydroquinone and paraben. Direction: After shower, towel dry and apply A Bonne' Yogurt Milk Whitening Underarm Cream onto your underarms and dark spot, once in the morning.